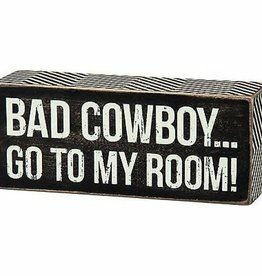 A classic black and white wooden box sign featuring a distressed "Bad Cowboy... Go To My Room!" sentiment with zigzag trim designs. Easy to hang or can free-stand alone.